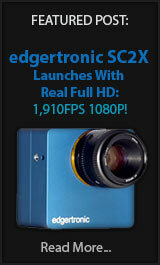 The big news for slow motion fans is two fold and it is quite significant from a standard manufacturer like Blackmagic. It is no longer sitting still when it comes to frame rate adoption and it is clear that higher fps is a trend that will continue to increase for years to come. It is a must have spec to attract video professionals. The first big surprise is that current owners of the URSA camera which was previously hard locked at 80fps at 4k and 1080p is now being upgraded to support 120fps at 4k RAW if you upgrade to the new v2 4k sensor and 1080p at up to 150fps in windowed mode in the current and new sensors. With this update the URSA jumps to 4th Place in our Slow Motion Camera Guide, way to go! If you own an URSA, you can get the firmware update here: BlackMagic Design URSA Firmware Update for Windows and Mac! While the new slow motion mode in 1080p is windowed it does offer a pretty good 150fps speed that most of the competition lacks. Add to it that it is a free update to current owners and this becomes an even better proposition. Updates like these are what the URSA promised since the start, a truly upgradeable camera platform from software to sensor so your investment stays relevant over the years. Think of the URSA mini as a stopgap between the massive and heavy URSA which is a do all be all camera platform with three monitors. The Mini is basically the same hardware with an upgraded sensor option for much less price starting at $2,995 for the EF 4k version to the PL $5,495 4.6k upgraded sensor version. The URSA Mini can capture full resolution 4.6K recordings at up to 60 frames per second and up to 120 frames per second in regular 1080 HD. The crop from the full sensor to capture faster slow motion is nothing new, this is usually how slow motion cameras gather higher frame rates. They can increase speed by dicing resolution to get insane frame rates. It seems that the URSA Mini will be able to handle 1080p 120fps continuous recording. The camera will use CFast 2.0 cards which are the same the Canon new C300 mk II camera will use. They don’t come cheap and probably will dop down in price but these costs will have to be factored if this camera is to be purchased. While these cameras are not exactly cheap, the slow motion quality is superb and hard to beat. Until the fps1000 cameras show up there is no real competition at this price range for 1080p slow motion quality and 4k higher frame rates under 5,000 USD. We applaud Blackmagic Design for catering to their user base and offering a really good upgrade for URSA customers. For new ones the URSA Mini with it’s impressive 15 stop dynamic range and up to 120fps 1080p frame rates for under $5k for the most part is a really good entry level for serious production. We are partial to the EF mount for price and lens availability. Note: The article originally mentioned 160fps for the URSA Mini as displayed in the Black Magic Spec Sheet, however the final camera only supports 120fps. Previous PostEdgertronic Software 2.1 Released and HTC One M9+Next PostGarmin VIRB Packs a Punch to GoPro! All of the frame rate specs I’ve seen are for the Ursa mini 4.6k. Are these frame rate specs the same for the 4k version? The URSA Mini can capture full resolution 4.6K recordings at up to 60 frames per second and up to 160 frames per second in regular 1080 HD. For the regular large URSA it is 80fps at 4k and 1080p up to 150fps in windowed mode in the current and new sensors. It originally was capable of 160fps as their materials showed at launch; but was scaled back due to some sensor problems. 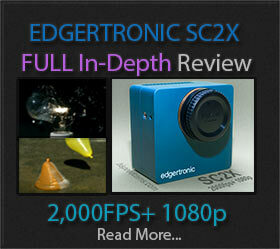 We have corrected this article with the current spec of 120fps maximum. Thanks for bringing this to our attention! When it comes to the ursa mini range; What’s the size of the 1080 window on the sensor? I’d like to adapt the mount to use B4 lenses and dependant on the actual size of the cropped centre is it possible that this could be an awesome ENG/DOC option, without the need to use the B4 lenses doubler? What about storage solutions? Looks like people have to spend literally 2k on 2.0 cards for storage. That’s obviously going to have to change. Yes the storage is expensive however in time it should offer mre space for less money. Other cameras lowering with cost storage solutions can fill the void for the market. Still trying to get a clear answer on this. The 4k Ursa Mini (NOT the full sized Ursa 4k) does 160fps 1080 windowed? I can’t tell if they’re saying that only the 4.6k Ursa Mini will do 160fps 1080, or if both models regardless of sensor size will do 160fps. 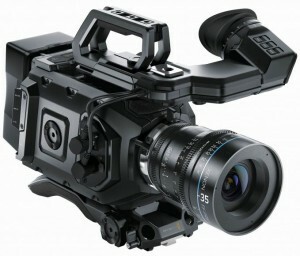 Large URSA 150fps – URSA Mini 160fps. Has to do with the hardware being newer. Really negligible in practice it’s just 10 frames. 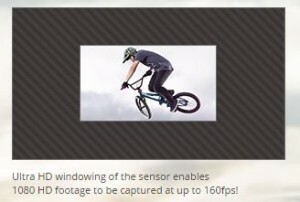 Both are windowed resolutions as in the center of the sensor in a 1080p frame. Firmware 2.3 in the Large URSA is needed. So this does not seem to be the case. The Ursa Mini 4.6k is 120fps. There is still no definitive answer on the Ursa Mini 4kv2 sensor. 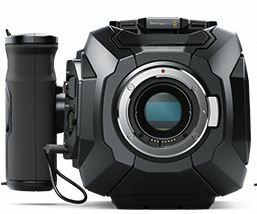 It could just be 60fps, I simply cannot find an answer, as all of the docs and posts relate to the Ursa Mini 4.6k, NOT the Ursa Mini 4kv2 sensor. After firmware update 2.3, the Ursa 4k (Ursa “Major”, the big one) can do 150fps 1080p, 120fps at 4k. Seems like, although a tough decision, the right choice is the Ursa “Major” 4k. You can change the sensor. You get 150fps. Yes, it’s big, but with good reason. Have you tried contacting Blackmagic directly about this? They should be able to have the final word. I contacted Black Magic about the frame rate for the 4K Ursa Mini (not 4.6K) and they said 60 FPS is the fastest it can do and it only support global shutter (no faster rolling shutter modes). Kind of rules it out for me. You should check out the fps1000 or the Sony FS5.